Make sure they can’t PIN you down! Your Environmental Health Officer will automatically check your Beam Locking Pins when visiting your site. Provide safe systems and equipment for using, handling, storing and transporting articles and substances. Provide the relevant information, instruction, training and supervision as is necessary to ensure the health and safety at work of employees. 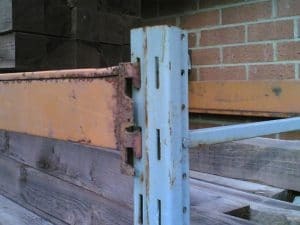 The most common causes of collapse or accidents with falling stock from Pallet Racking is dislodged beam connectors. 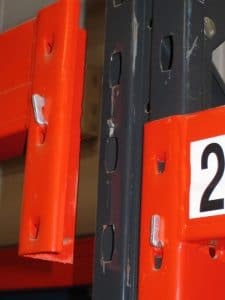 Missing or damaged Beam Locking Pins can highlight dislodged beams. Stakapal can help with a full range of safety checks ranging from missing Load Labels and Beam Locking Pins through to full SEMA Approved Inspections.